Sometimes it’s useful to compare types of yachts to understand what their designers were trying to achieve to determine which design fits your purposes best. 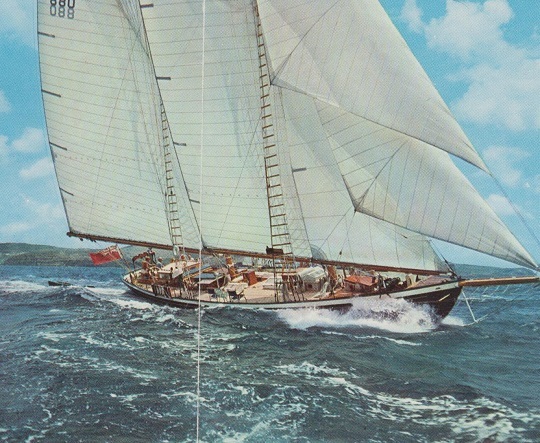 Classic Yachts – Plentiful in the Eastern Caribbean during the 1950s and 60s, these beautiful, traditional, wooden yachts were built as racing yachts to compete for the America Cup races during the 1930s. Originally, the crew quarters were in the bow with closed off galley, the main saloon was amidships, and guest accommodation were aft. Their fiddle rails in the main saloon, leaded glass cupboards, sconce lighting, beveled mahogany paneling, gimbaled dining tables, pilot houses, varnished butterfly ceiling hatches, old world charm, teak and varnish surely turn heads in port, but these yachts require endless hours of labor to maintain, so they were replaced during the 1970s by modern fiberglass sailing yachts, although a few remain on the market today. Traditional yachts are still built from scratch today, most of them along the lines of former classic vessels, only nowadays these yachts have state of the art electronics and amenities, air conditioning, while still keeping the style and charm of olden days. Classic yachts are for purists at heart. Modern Auxiliary Sailing Yachts – Popular in the Eastern Caribbean during the 1970s, these mono-hull, fiberglass, high performance sailing yachts are modern and easy to maintain and are built to sail around the world in any kind of sea. 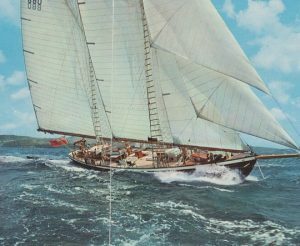 Most often rigged as ketches and sloops, their bottle-shaped hulls are strong to withstand any kind of sea, and their decks are capable of handling a multitude of designs for the individual yacht owner wishing a variety of styles of comfort and amenity. Auxiliary sailing yachts often have one thing in mind: the ultimate in fast sailing performance, while offering comfort to guests. Sailing is romantic and eco-friendly, and these charter yachts range in size from 40 feet to 250 feet worldwide with state of the art electronics. 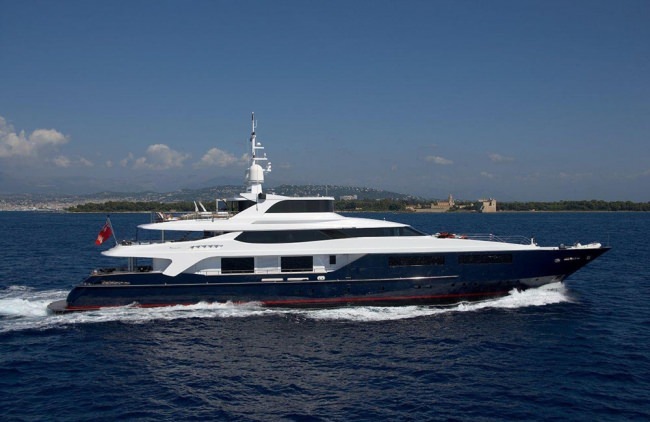 Power Yachts – As the world economy improved during the 1990s, so did the number, size and style of motor yachts, and the Eastern Caribbean saw a shift, not for the first time, in visiting yachts. 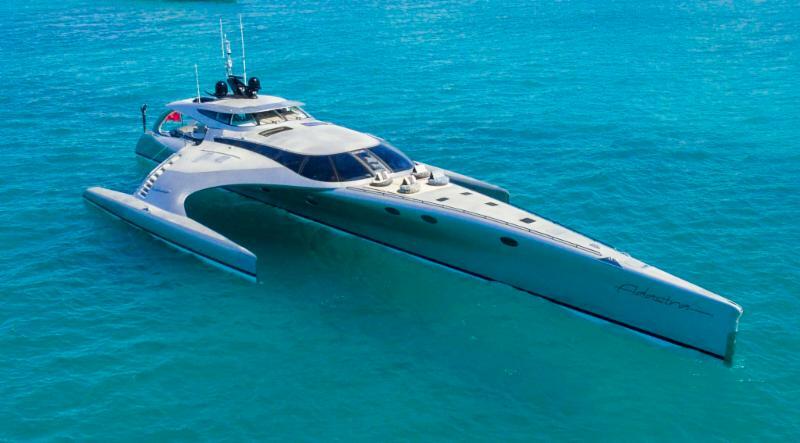 Enter the power yacht! Almost unheard of in the Caribbean during the 1950s and 60s, this new type of charter yacht was the luxury, multi-tiered power yacht with zero-speed stabilizers, featuring a sky lounge above the main saloon, and a sun deck above that, so yacht owners could have privacy at the dock and from the crew. The design possibilities of the motor yacht are limitless, and designers have pushed the envelope of possibilities. The results are nothing short of spectacular, as each yacht brings style and entertaining to a high level, right down to the textures, fabrics and elements used in their interior appointments, Jacuzzis and hot tubs, their sun decks, ‘garages’ and beach clubs. No other vacation offers as much luxury as a private motor yacht with its multinational crew, trained in service, hosting, and entertaining, and luxury super yachts have state of the art electronic equipment that enable these yachts to live off the grid for months at a time, while still offering all the comforts of home, including Satellite communication and television, internet from anywhere in the world, including the middle of the Atlantic, fresh water makers, refrigeration, storage, sports equipment, digital newspaper printers, and efficient engines and generators that sip fuel, while still maintaining a fast cruising speed of anywhere from 10 to 40 knots, depending on their hull shape. 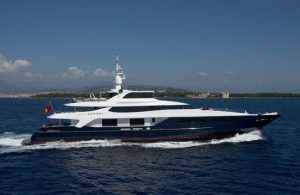 The Lower Caribbean offers power yachts almost exclusively these days, winters only, and these charter yachts range in size from 70 feet to 275 feet worldwide. None of them accommodate more than 12 guests, however, as yacht owners have chosen to maintain a “private yacht feel.” Guests wanting the ultimate in comfort and design choose the luxuries of a motor yacht. 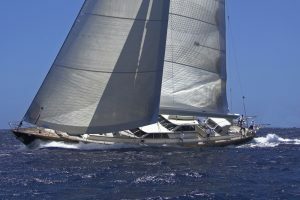 Catamarans – Open minded sailors seeking faster sailing designs answered the call to push the designs of sailing yachts to come up with an even faster sailing yacht than the modern performance mono-hull sailing yacht and came up with the obvious answer: two hulls instead of one! Multihull vessels are shallow drafted and more stable at sea than heavier mono-hull vessels with their deep keels. For catamaran owners, sailing performance matters, as multihulls with their shallow draft out sail mono-hull vessels in any kind of breeze. There are no steep stairs on catamarans, and main saloons are built across the width of the two hulls, offering spectacular 360 degree views from their ‘deck saloons’, as well as indoor/outdoor living. Cockpits are on the same level as their saloons, and guest cabins are spread out all around the ship, offering more privacy than mono-hull vessels. Because catamarans are wide, there is more deck space, more stability, and more Queen-sized beds for couples than mono-hull vessels, and each guest cabin has its own private ensuite bathroom. The width of catamarans can also be built up upon too, like the multi-leveled power yacht, and some offer fly bridges with spectacular views and sunbathing. Trampolines are attached between the hulls forward, offering cool sunbathing and more deck space, as the breeze blows through the nets, a great area to watch dolphins leap and swim ahead of the bow. Because the two hulls are riveted together, catamarans are not as strong as bottle-shaped mono-hull vessels, an original idea of the catamaran being that families would live aboard them in marinas, which is why their galleys are located in the saloon, so families can be together. So while catamarans sail faster than mono-hull vessels, mono-hull vessels are stronger and make the better choice for sailing around the world. 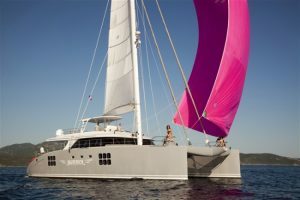 The Virgin Islands offer ideal calm waters for catamaran cruising, and the contribution of charter guests to the Virgin fleet catamaran fleet has been their demand for scuba diving. 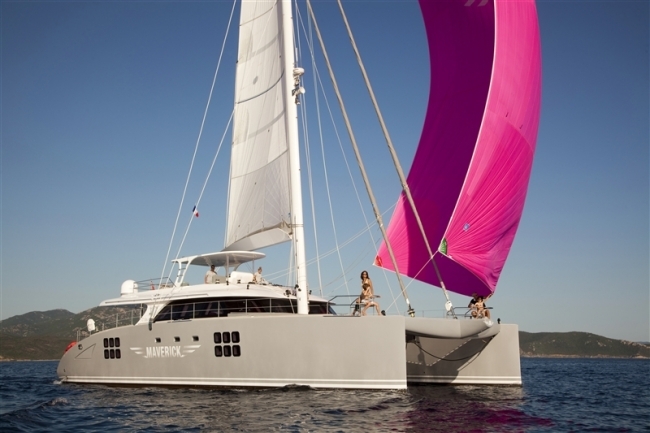 Many catamarans there carry compressors, scuba tanks and buoyancy compensators and offer scuba diving to guests. 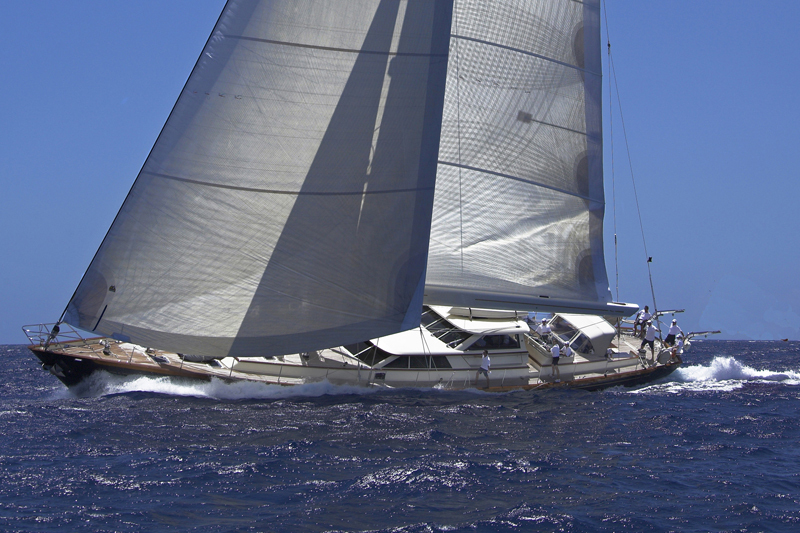 Not all catamarans are sailing yachts; power catamarans are popular too. Which type of yacht do you see yourself and family?